organized by the European Agency for Safety and Health at Work (EU-OSHA). The overall content of the campaign is described as "managing work-related stress and psychosocial risks". The topic is especially interesting for ergonomists, for whom this is a part of their core expertise area. The FEES is also an official partner of the EU-OSHA. The EU-OSHA campaign Healthy Workplaces Manage Stress recognizes the definition "Work-related stress occurs when the demands at work are beyond a workers ability to cope with them". The campaign aims at (1) raising awareness of the growing problem of work-related stress and psychosocisl risks, (2) provision of the tools and guidance for managing it at the workplace and, (3) highlighting the all-inclusive positive effects of managing these risks both for the workplace and for the business. For more information, see www.healthy-workplaces.eu. The EU-OSHA campaign covers this topic on the whole, including e.g. organizational issues such as job reorganization, job insecurity, working hours and increasing intensity of work, responsibilities and rewards and, interpersonal matters like bullying or harrashment. The FEES campaign will, for ergonomists' part, draw a special attention to matters related to work and workplace itself. The work task design and the design of work systems is in the heart of ergonomics, and their poor design can be an essential source of work-related stress. For example, a poor information system which does not correctly support the worker or the task, or, a working tool or device which is not in the proper control of the worker, will not only become a source of cumulating stress but also a potential reason for accidents and economical losses. Ergonomists have experience on these work-related stress factors and their diverse consequences. They have developed ways and methods to analyze the work for identifying and reducing associated risks. Furthermore, they have developed design principles and instructions for optimizing the systems and environments to increase both well-being of the users and efficiency of the systems. The ergonomists are also experienced to develop work activity, work organizations and work systems together with all stake holders at the workplace, including occupational health and safety experts. The power point presentation "Ergonomics for managing work-related stress" is now published for an introduction to the topic. 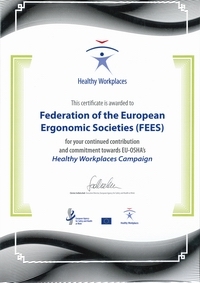 It is intended to support the European Month of Ergonomics organised by the national member societies of the FEES. Its purpose is to disseminate the message of the EME in possible seminars, meetings or other events related to the EME 2014 and 2015. It can be distributed as such for information to all those interested in the topic. The basic content can be used also in articles or other communication material for the campaign. The presentation is distributed in the ppt-format so that it can be translated and modified for local use, possibly shortened or enlargened, added by local examples, photos, etc. 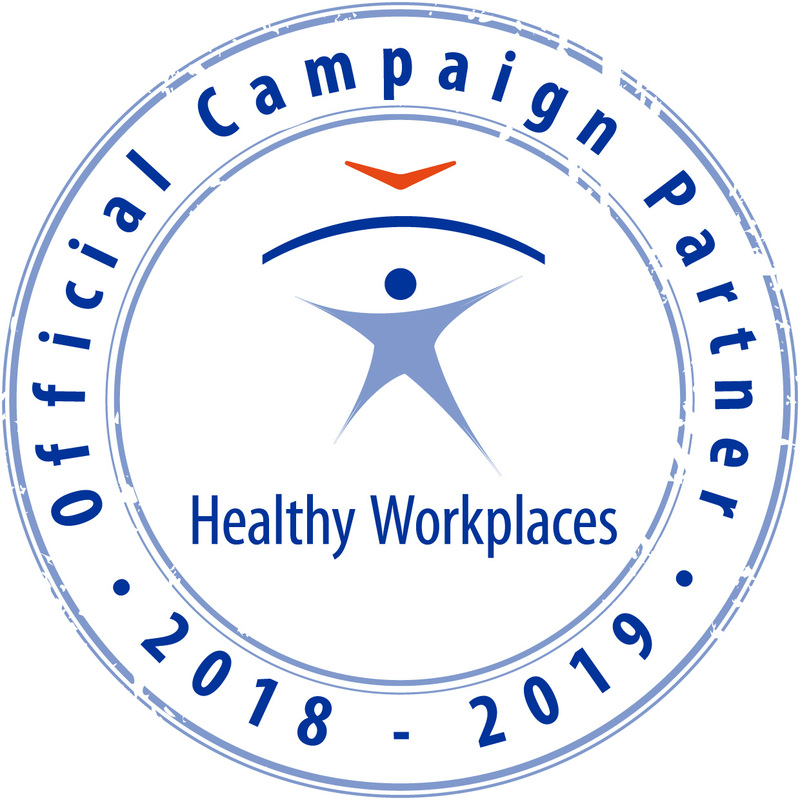 Cooperation between the national ergonomics societies and the organizers of the national Healthy Workplaces campaigns is highly recommended. In such a way a much wider audience to our message can be achieved, and also cooperation between these organisations can be developed for the future. This can mean, for example, organising common seminars or other events, or preparation of common campaign material or, just participating as a presenter in the events of each other. In order to develop the future EME campaigns, and to share the experiences within the national societies, we kindly ask the members of the national societies of the FEES to gather experiences on the coming EME campaigns in 2014 and 2015 (e.g. information concerning the realized events, the cooperation with other organisations, other initiatives, articles, other useful documents, etc.). This information or material can be sent to the Communication and Promotion Committee of the FEES, via Martti Launis martti.launis@ttl.fi.